Tranquility has unveiled their newest addition, Halcyon, a Gloebit-enabled region  with a hypergrid shopping mall. 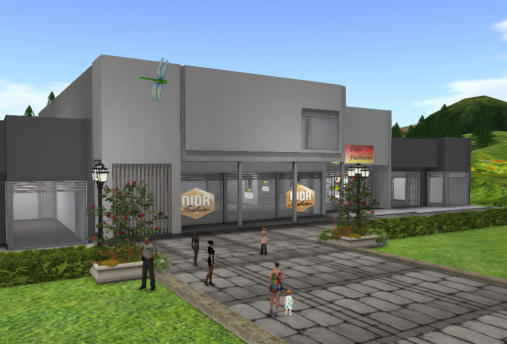 It has more than 20 stores available for creators who wish to sell to the whole OpenSim community. Three different size stores are in place to accommodate small or large needs. There are also larger stores available on request for creators who need more space. To visit the mall, go to Tranquility Welcome by logging in directly after creating an account , or by teleporting in from any hypergrid-enabled grid to tranquility-grid.info:8002. There is a teleporter and landmark giver on the welcome region. Once there, wander around the area, and if you find a store you like, just “pay” the rent box and you will be the official tenant of the space, and will also receive a group invite. Contact Jadore or Christian Dior or any of the advisers in-world, who will ensure everything is set for you to open up shop. Tranquility Grid, established this past January, is renowned for being friendly and peaceful.